3 bedroom sunny house on a hill with a large sunny deck and views across the san francisco bay. Less than half a mile from the BART train, just 3 stops to downtown San Francisco. Lots of lovely restaurants on your doorstep and a wonderful canyon park at the end of the street. If you want easy access to the city and lots of space to call home. Glen Park has lots of great restaurants, a BART stop and produce market. 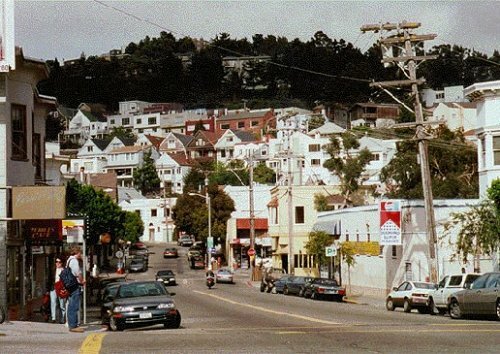 1 mile from Twin Peaks and Diamond Heights and an easy walk to the cute shops of Noe Valley. A hidden gem with a friendly city vibe.